. Published on 02/02/2018 . New growth. The first pearly white snowdrop, the brilliant glow of cyclamen, a peeping crocus, the green fingers of tulip and narcissus shoots breaking through the soil. With seven weeks to go until British Summer Time returns, it’s safe to say: spring is on the way and the dull, leaden-skied days of winter are numbered. Yes! Our senses are ready to be stimulated, and if you’re like me, ready for a big dose of horticulturally-inspired mindfulness. Let’s admit it; January was a bit of a slog. A dreary, long month punctuated with an uninspiring catalogue of bitter and biting meteorological events. February probably won’t be too much better… but the greys and browns of mid-winter are finally giving way to those promising accents of colour – a primrose here, a snowdrop there, and soon bold, brilliant trumpets of gold everywhere. Look closely and you’ll see that even in your own backyard, the great winter slumber is almost over. So now is the perfect time to start planning your new season’s planting schemes, even get on with a little bit of landscaping. If you’re stuck for inspiration, why not consider one of 2018’s big gardening trends – the concept of mindfulness. It may sound like a hipsterful hokum buzzword, but gardening and mindfulness has been touted by the likes of the NHS and a study by the NGS as a hugely rewarding and useful tool in achieving a positive state of mental health and wellbeing. Mindfulness itself is the practice of “being in the moment” – being mindful of your surroundings, all of your senses and what’s in front of you. You can practice mindfulness through meditation, but there are other ways to exercise this concept, and there’s no better place to start than in the garden. The physical act of gardening and our little green spaces offer ample opportunity to achieve mindfulness, providing plenty of ways to be ‘in the moment’ as we engage directly with nature and all the sensations of touch, taste, smell, sight and sound that it offers. So how do we go about incorporating mindfulness into our gardens, and boosting our mental wellbeing? 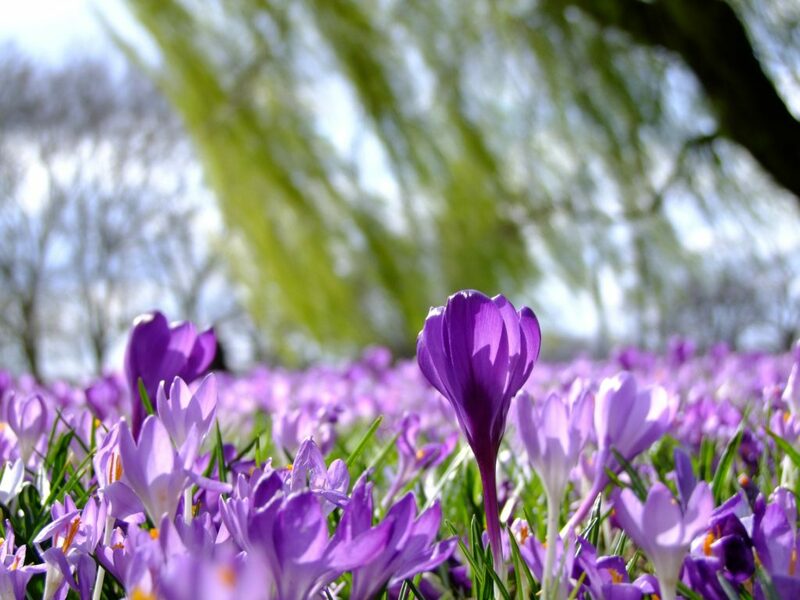 A first tip would be to consider how you can stimulate your senses in your garden. 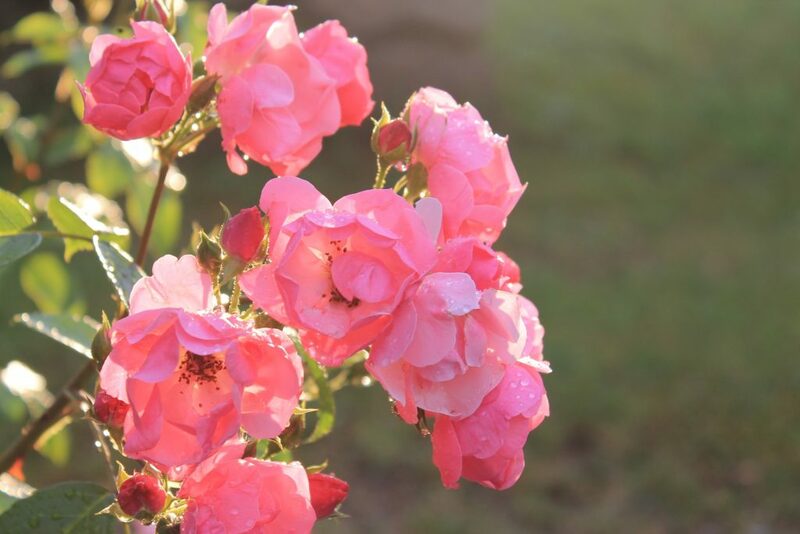 Fragrance is a great first step – roses, herbs or evening-scented flowers can help us to stop and, well, almost literally smell the roses for a while! Sounds such as rustling grasses or trickling water can also help us to relax, achieve calm, and just take in the moment. Even growing your own fruit or veg can form part of the practice of mindfulness – picking fresh fruit, enjoying a juicy tomato straight off the vine or the taste of a super-sweet freshly podded pea can all become acts of mindfulness, as long as we pay attention to what we’re doing. Mindfulness can also help us to consider the design of our plots and gardens – where’s the best spot to sit and enjoy the warm glow of the last slice of afternoon sun? How can we create pockets of cool, shady relief in high summer? What’s the best evening-scented shrub for when the windows are open on a warm, sultry night? 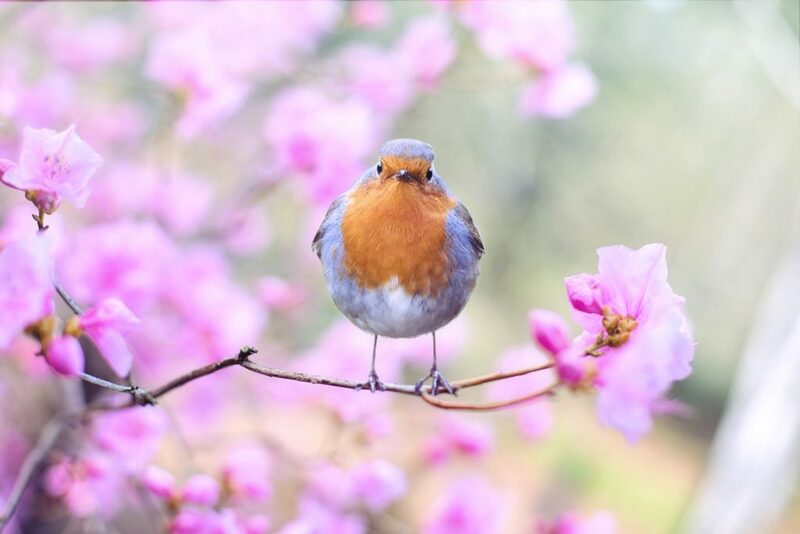 Think about how you enjoy your garden and can get the most out of its natural rhythms throughout the seasons, and you’ll probably find you can enjoy it that little bit more when you consider practicing mindfulness. Encouraging wildlife is also a great way to enjoy the moment – who doesn’t enjoy the tinkling tweets of a finch, or the melodic song of a robin? And who hasn’t enjoyed a morning chorus or two in their time? Lastly, every now and then just let your garden and your instincts guide you. See a job that needs doing? Do it, but don’t keep yourself on the clock or put yourself under pressure to achieve a certain amount by a certain time. Just concentrate on the task at hand and feel confident in what you’re doing. Take your time, focus, and take in your surroundings.